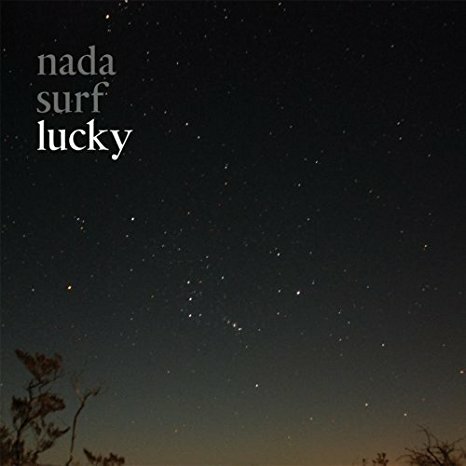 New York’s indie darlings Nada Surf formally released their newest album, Lucky, on February 5th on Barsuk Records. However, two weeks earlier, they opted to give listeners the opportunity to sample their wares by streaming it via their Myspace page. Entrepreneurial? Depends. Brave? Yes! With their website all prettied up and leaning on the comfort of an astral theme, the boys seem to be approaching Lucky with caution. That caution, however, is nestled between achievements—collective and individual—that peek at the listener throughout the album, and the relief that comes after enduring the ascents and nadirs of everyday life. It’s almost daunting, but definitely amazing, to think that 10 or 20 kernels of reflection eventually become complete, full songs with graceful handling and hard work from the trinity that has created such stunning work in the past. That synergy and awareness always seems contribute to making songs worth listening to and literature worth reading. I came across something Caws had said in a previous interview, and wanted him to elaborate. “I’m always looking for rapture in music.” He answered rather delicately, considering his words carefully. “I wonder, maybe, not to be conscious of the fact that one can feel rapturous would be a blessing. Because when you do know, when you’ve had a taste of it, I wonder if it then colors normal moments in a less exciting way,” he answers. “I’ve always been more of a daydreamer, and though daydreaming is a wonderful thing to do, just being lost in your mind, it doesn’t do much for the practical side of your life. So, it comes with so much guilt,” he continues candidly. Thematically, Lucky is at the same time accessible and (at times) majestic, confronting the identifiable issues of love, fallibility, and reverence through means of reflection and metaphor that Caws has cultivated uniquely and expertly since 1998’s The Proximity Effect. The album is quite insightful and revealing, though to some—as there will always be—it could come off a bit “sad-sack” (Caws admits as much in jest). That degree of candor begets the vulnerability that Caws jokes about, but it does more than that. If only for its pride in enduring and coming through and out of ugly times, the songs are multi-layered, and approach emotions from different angles, or head on, therein honoring its title. It ruffles the sheets and forces the listener to consider and contend with these very issues that are a part of each of our days, to ride the plateau out to much-needed solace and completion. Caws’ voice is honest, at times downcast, illustrious, and always authentic. His ability to convey the details of a moment or emotion through tone and watchfully meandering melody compliments the steady bass lines and reliable drums. 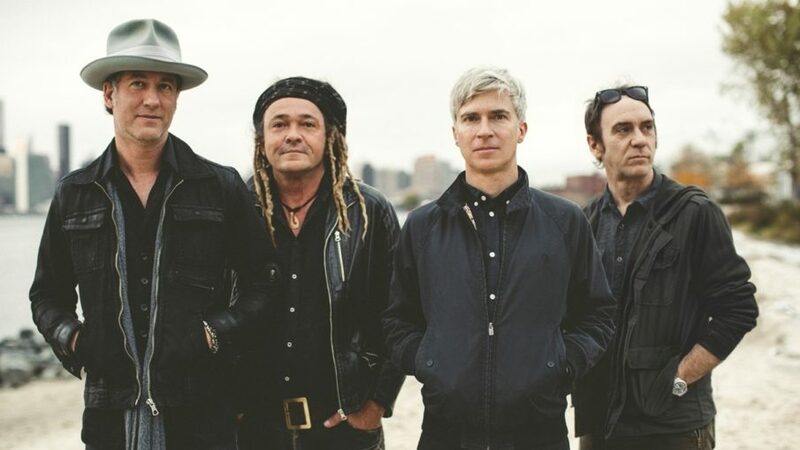 Taking some sharp turns throughout the album, much like we do in our thoughts throughout the day, Nada Surf emerges refreshed and calm, with renewed understanding. The cognizance of a deeper understanding of life, people, and relationships is apparent and important, though not new. Sonically, the album leans slightly more to the lighter side. Songs converge on the contemplative rumination on what it means to be at a definitive place (in one’s life)—after the slow and steady build up of what it took to get through days and weeks—illustrated in some of he structures of the songs. The opening tune, “See These Bones,” is a tasty introduction to the magnitude of the band’s—and most definitely Caws’—realizations since their last release, The Weight Is A Gift. “See These Bones” hits the keen listener hard in its acknowledgment of our fallibility and the inevitability of our impermanence. The song’s premise was extracted from a memorable trip to the Capuchin Church of the Immaculate Conception in Via Veneto in Rome, in which is a multi-chambered crypt that houses inimitable art created by Capuchin monks some time ago. From the bones of 4,000 individual long-passed monks, gorgeous, macabre installations line the walls and ceilings. The resident love songs on Lucky are grand in their own right, and are tempered by either strong melodies or self-aware lyrics not dripping with longing. “Beautiful Beat” started out “as a love song to a beat,” Caws explains. Because of the way life and relationships ebb and flow, though, it eventually shifted and evolved into what love songs always do. “When words are kind of sad-sack, or verging on the pathetic, I… think it helps if it’s balanced out with some kind of strength,” he says. Collaborating with Lianne Smith on “The Film Did Not Go ‘Round,” the album’s closing tune, allowed for a sort of solemn, resigned end, thereby underscoring the motif of the album: impermanence is inevitable, so enjoy things while you can. Sometimes it’s difficult to remember that, especially when moments consume you and steer you away from that reality. The spooky gossamer of Smith’s voice seals the album with gorgeous tone and an urge to make the best of what we’ve got because, yes, we are Lucky to be here.